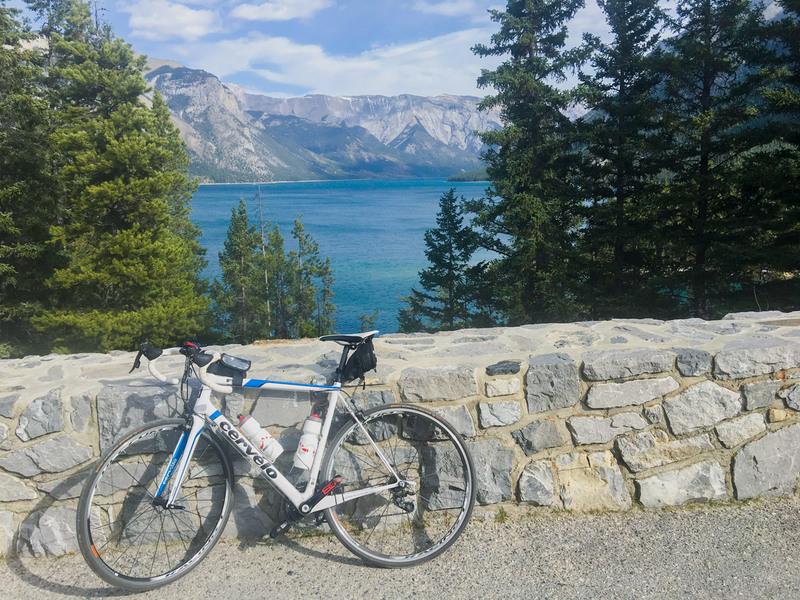 The bike ride around Lake Minnewanka on the Minnewanka Loop is a classic road bike ride near the town of Banff. 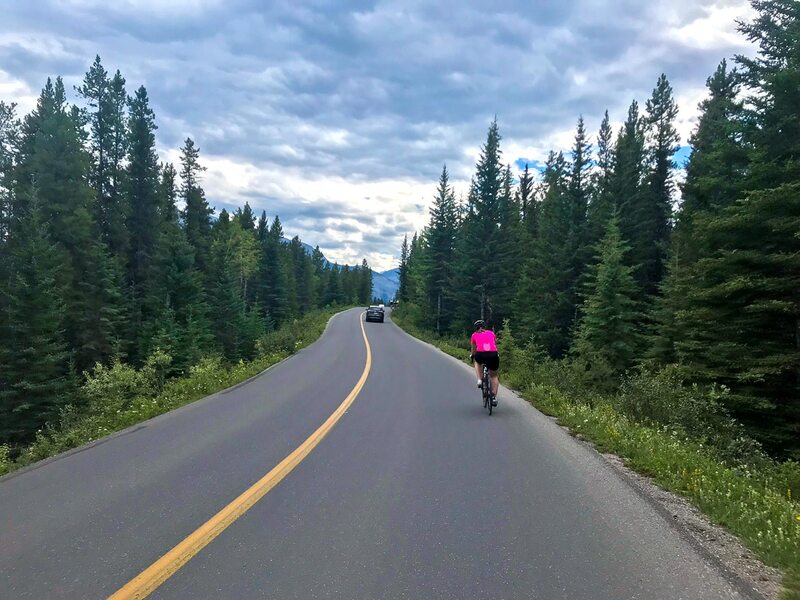 Head out from town along Banff Avenue and quickly get on a beautiful bike loop that provides great views, and often lots of wildlife. Enjoy the rollercoaster ride back to town. You can start anywhere in Banff. We usually start on Banff Avenue. 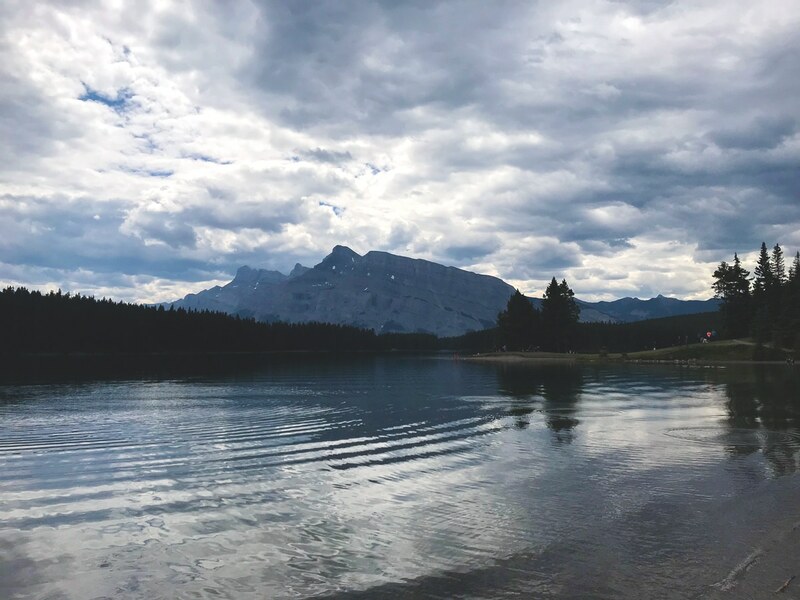 In summer parking can be hard to find, so arrive early or park at the Minnewanka Park-and-Ride during summer months and skip the bike ride from Banff. 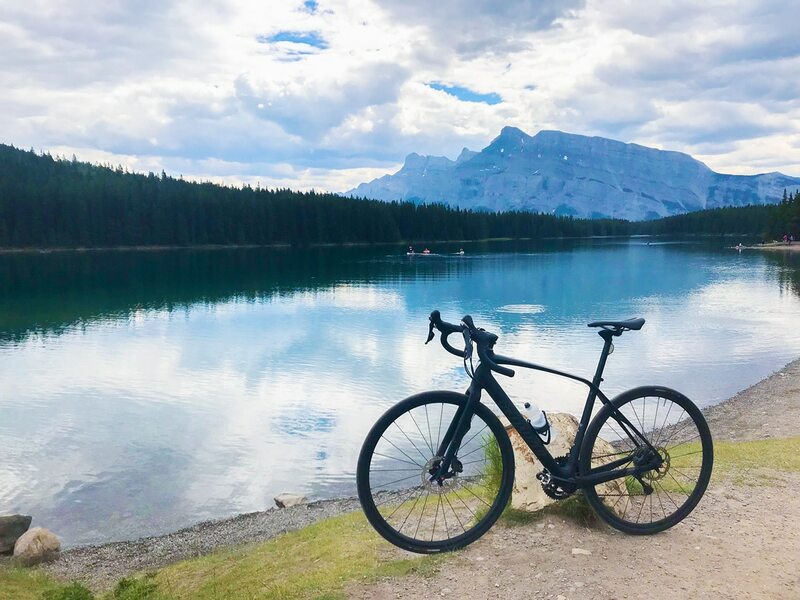 OK, so it’s almost impossible to choose a best bike ride in Banff, they are all great. However, this is the ride we do most often. We add this loop onto almost any ride we do, as it has incredible views, lots of wildlife, a good uphill challenge and a fun downhill. 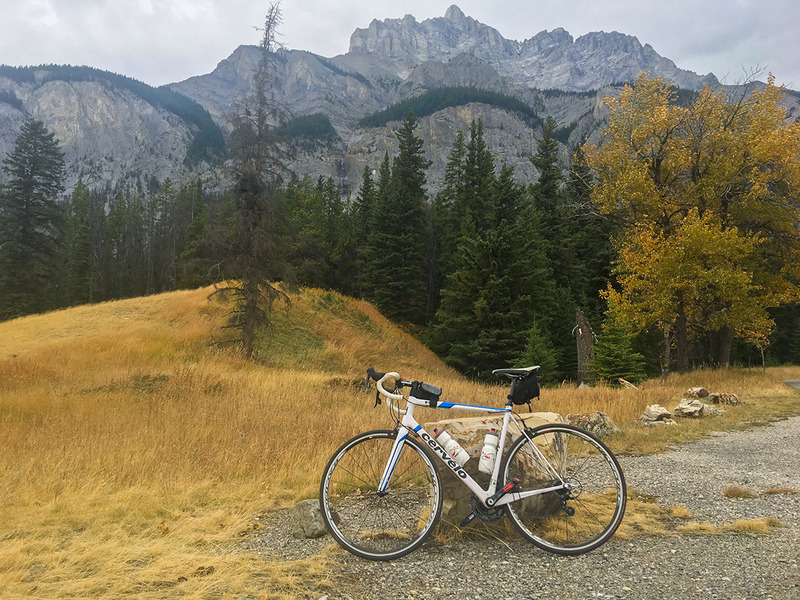 The hardest part of this bike ride is finding parking if you’re not staying in Banff. We usually get there early and park in the parkade near Nester’s Market, at 122 Bear Street. This is right in downtown Banff and also allows us to pick up last minute snacks before we head out. 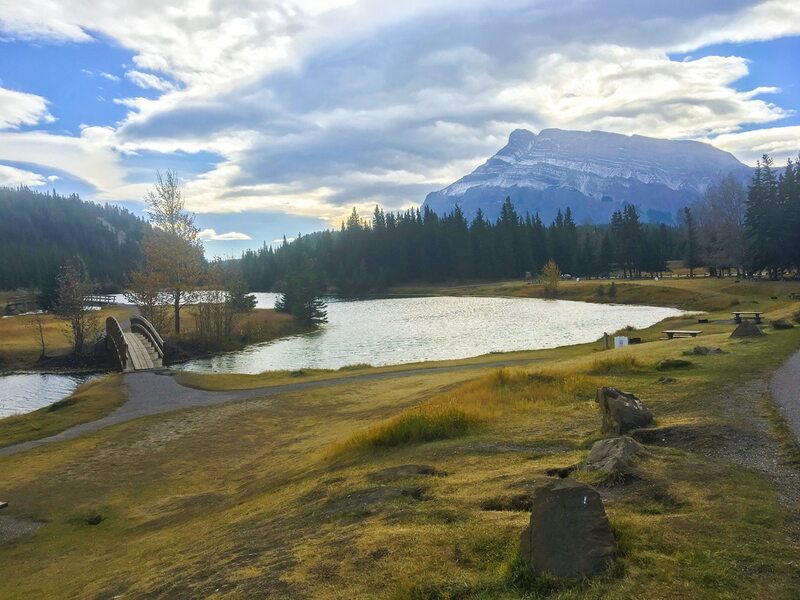 Other parking options can be found on the Banff parking site. 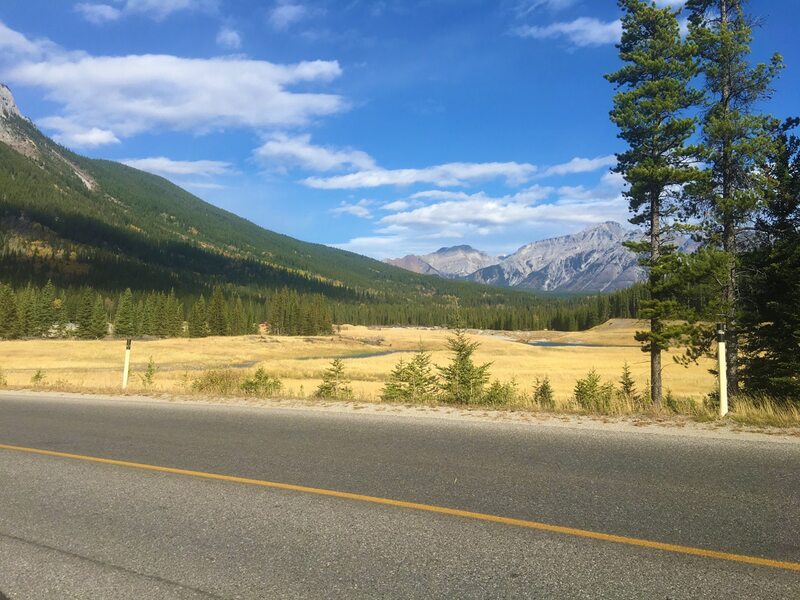 The Fenlands Parking lot is another great option, and is located on Norquay Road by the Trans-Canada Highway. 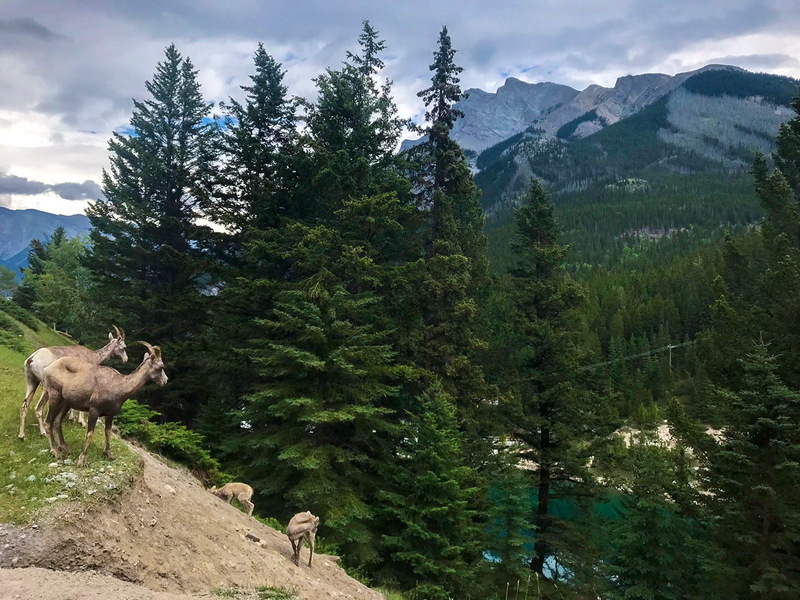 You could also park at the Minnewanka Park-and-ride, which really shortens the ride as you start on the Minnewanka itself. Our map shows starting in Banff, so get your bike and head towards Banff Avenue, the main drag through Banff. 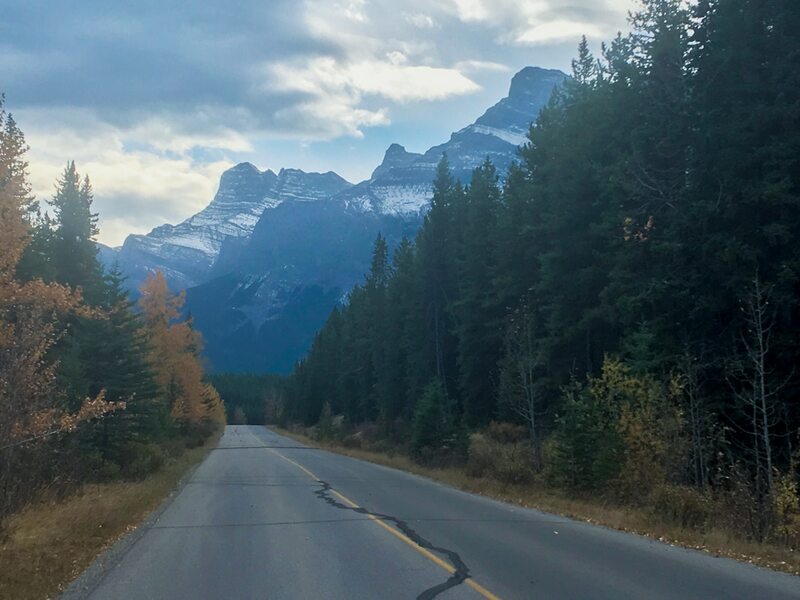 In the morning, it feels great to ride along Banff Ave and have the road to yourself. 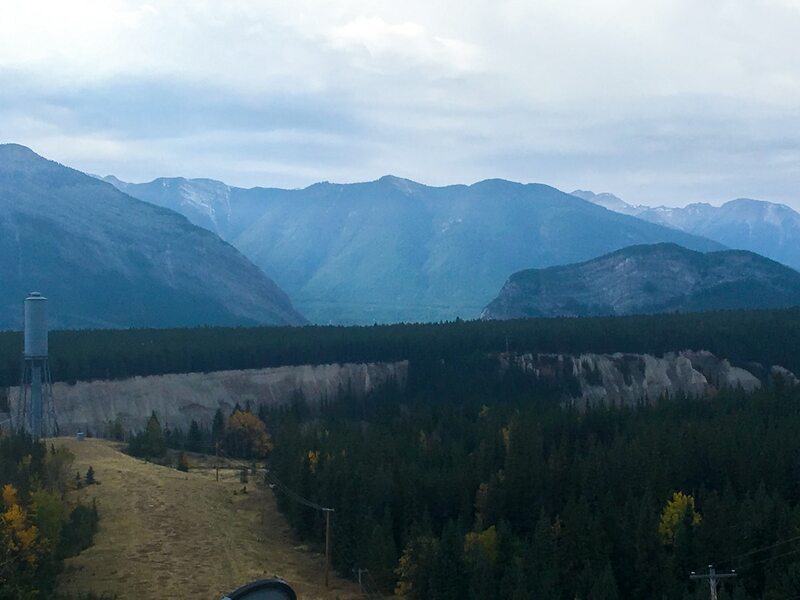 The crisp air usually means clear views of the stunning scenery ahead. 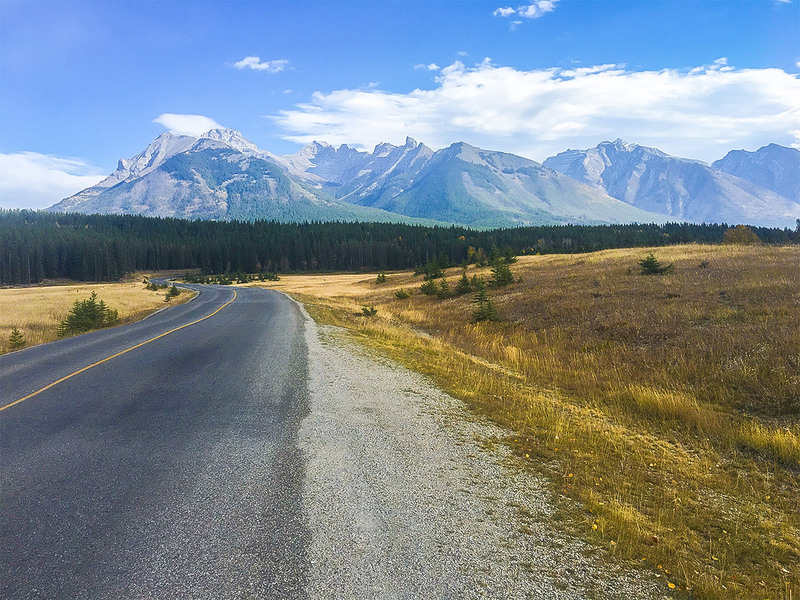 Head out of town along Banff Ave in a northern direction and then NE as the road curves. You’ll pass many hotels on your left. 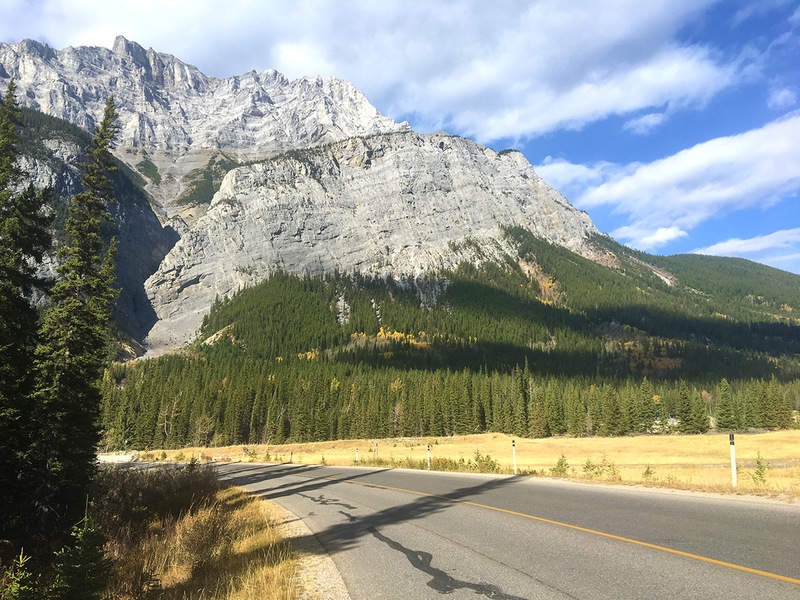 After passing the Inns of Banff, you will see the Legacy Trail bike path on the right-hand side of the road, which you can join. 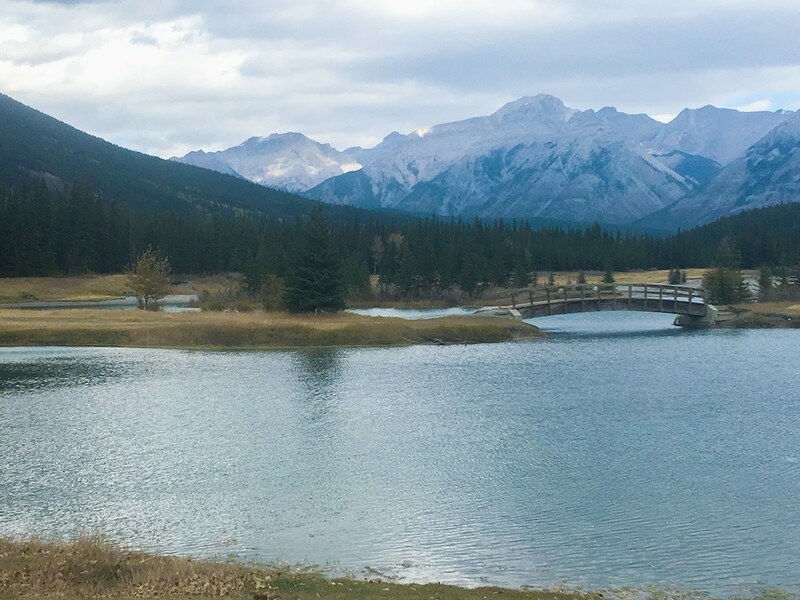 While the Legacy Trail goes all the way to Canmore, you’ll only take it to an underpass that goes beneath the Trans-Canada Highway. 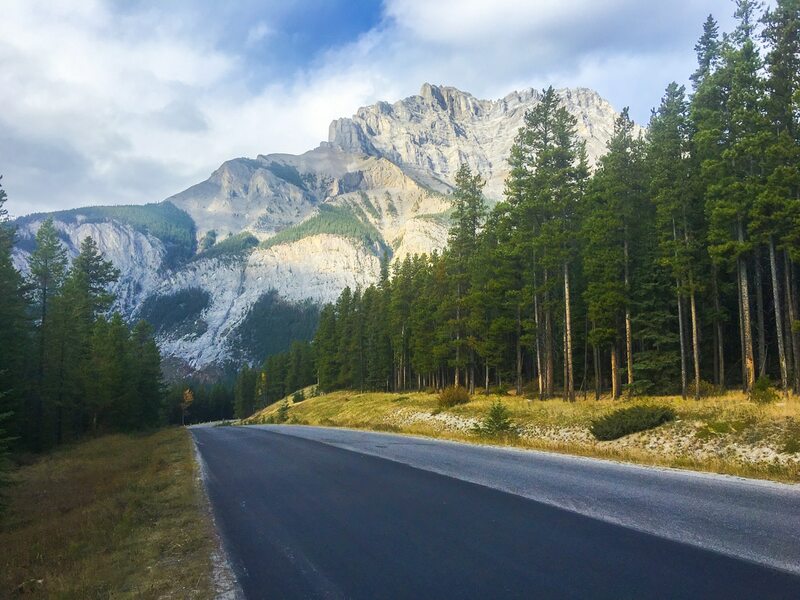 In about 2.0km you will reach Banff Rocky Mountain Resort, a series of cabin-like buildings at the intersection of Tunnel Mountain Road. Be careful crossing this road, as tourists often aren’t aware there is a bike lane here. Once across the road, continue on the Legacy Trail for 1.5km as it curves to your right and comes to a fence. You’ll notice more traffic on your left, as it’s the Trans-Canada. After passing through the fence, you’ll notice a tunnel to your left that is easy to miss. Take this tunnel as it goes under the Trans-Canada and through a forest to the very pretty Cascade Ponds. You’ll likely want to stop here and get a few photos. Go along the path beside the Cascade Ponds until you come to a T-junction. 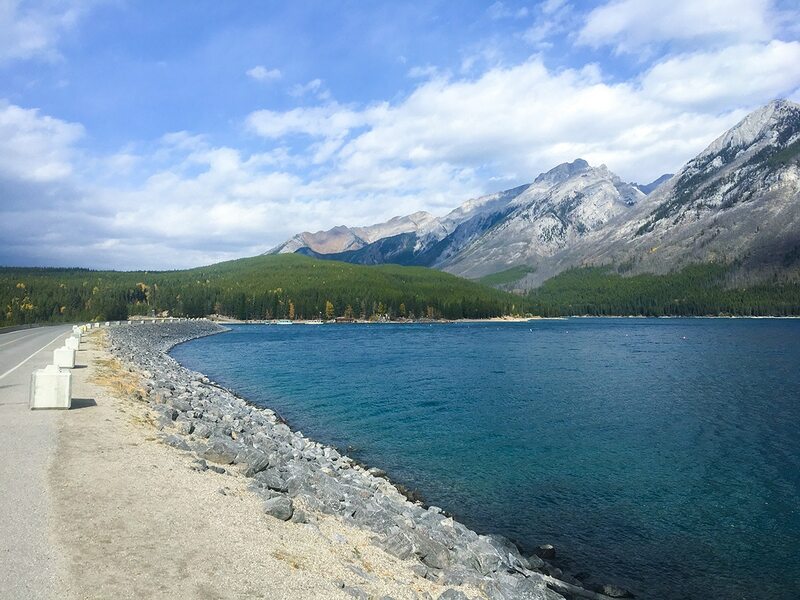 Go left here, and you’ll soon reach a major road, where you go right, now you’re riding along Lake Minnewanka Scenic Drive. 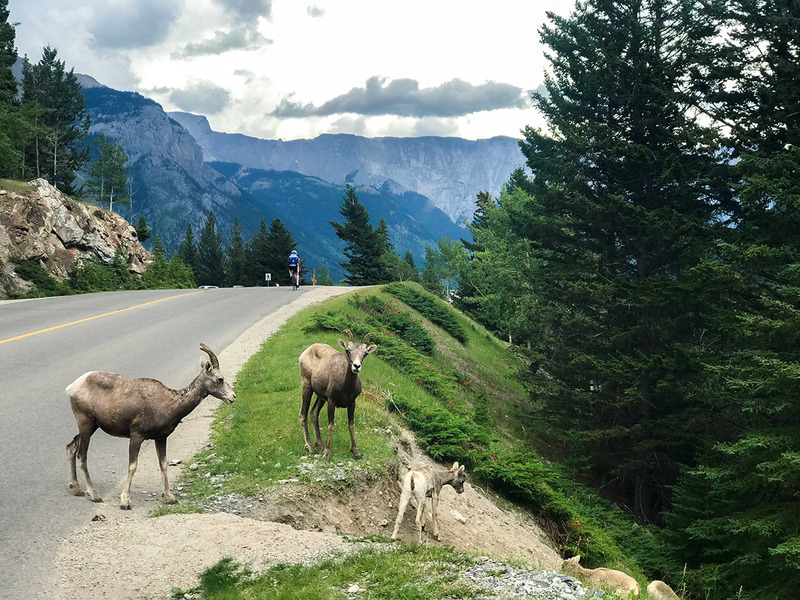 Which direction to ride the Minnewanka Loop is a decision best left to a few rounds of beer with the locals. Everyone has their reasoning to ride clockwise or counter-clockwise.  We like cycling counter-clockwise because there is a bit less traffic and the viewpoints you want are on your right, so you don’t need to cross traffic to see them. 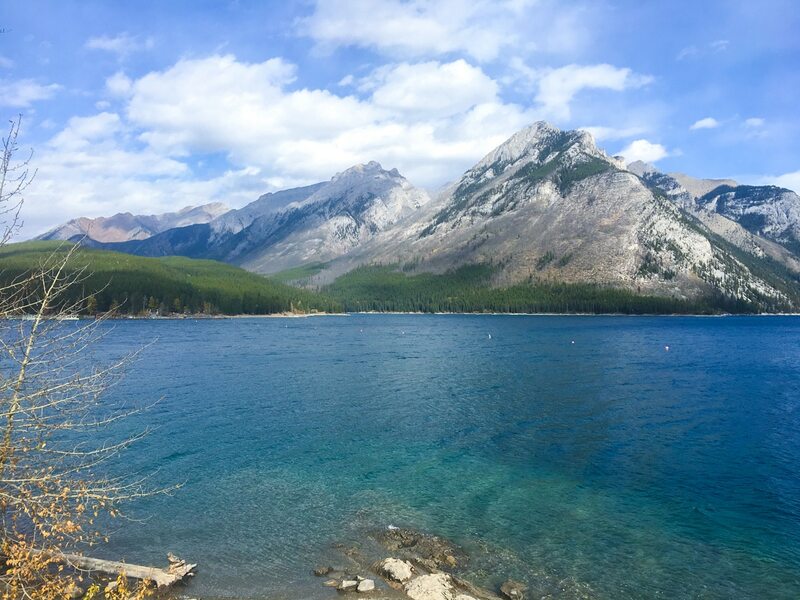 To go counter-clockwise, 650m after you turn onto Lake Minnewanka Scenic drive you need to take a right, on the route that is signposted for Two Jack and Johnson Lakes. Once on this route, you’ll head downhill before starting a series of rolling bumps heading uphill. After 2.9km you’ll come to a meadow, which is an excellent place to spot some elk, which often congregate here. Continue along the road and 700m after the meadow you’ll come to a junction with Johnson Lake Road. 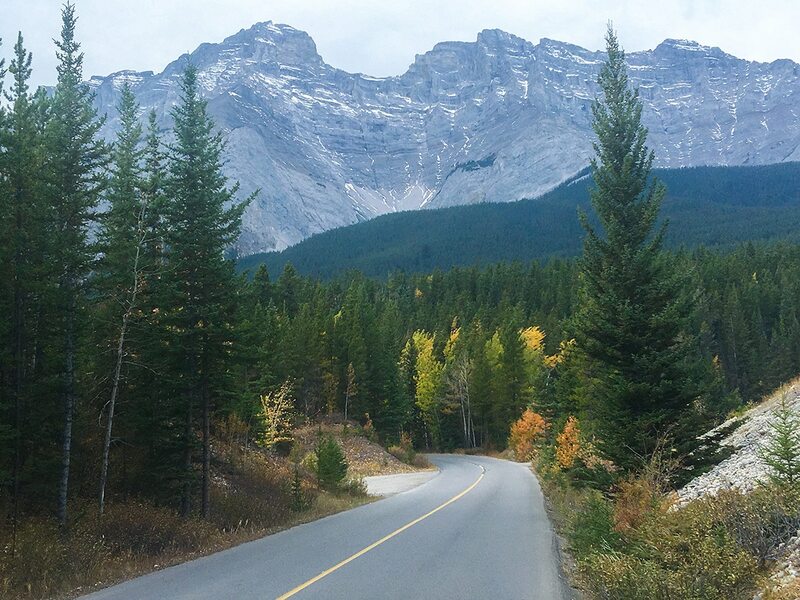 We love this detour, and this 2.2km road gains about 65m on the way to Johnson Lake. 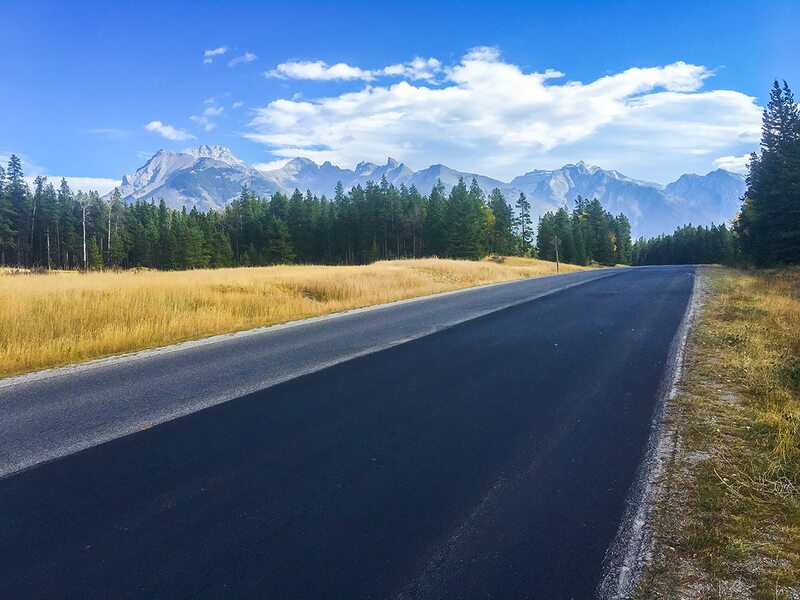 Once you’ve taken in Johnson Lake, ride back the way you came on Johnson Lake Road and take a right back onto Lake Minnewanka Scenic Road. You’ll ride for 4.6km along the road, passing Two Jack Lakeside and Two Jack Main campgrounds. You’ll then come to Two Jack Lake day use area, which is a popular place for wedding photos. The views are incredible, and it’s worth riding down to the lake, though we think the best views are past the turn-off, on the main road. From the Two Jack day use area you have 2.4km to the end of the Minnewanka causeway. Along the way are two viewpoint turnoffs, however the best view is while riding along the causeway. 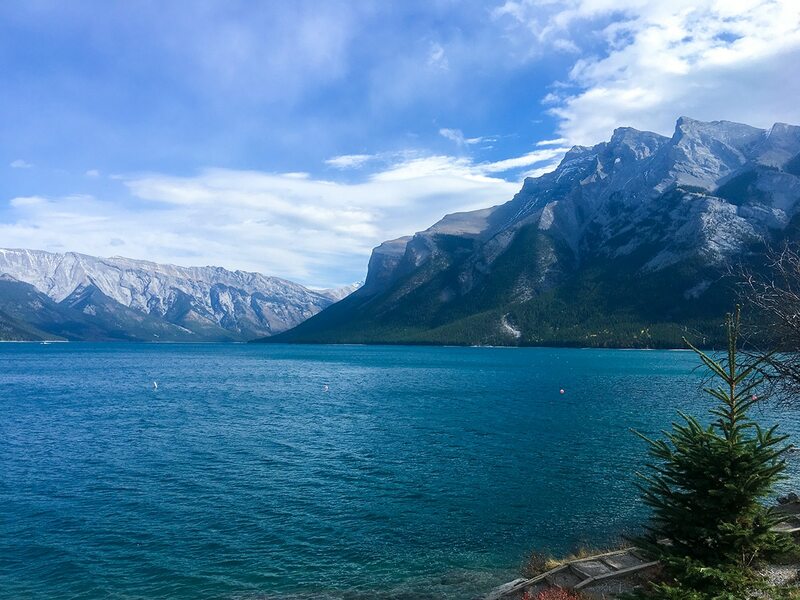 You look out at Lake Minnewanka, and the massive mountains that frame this spectacular lake. Our favourite mountain here is Mt Inglismaldie, which is on the right of the lake. 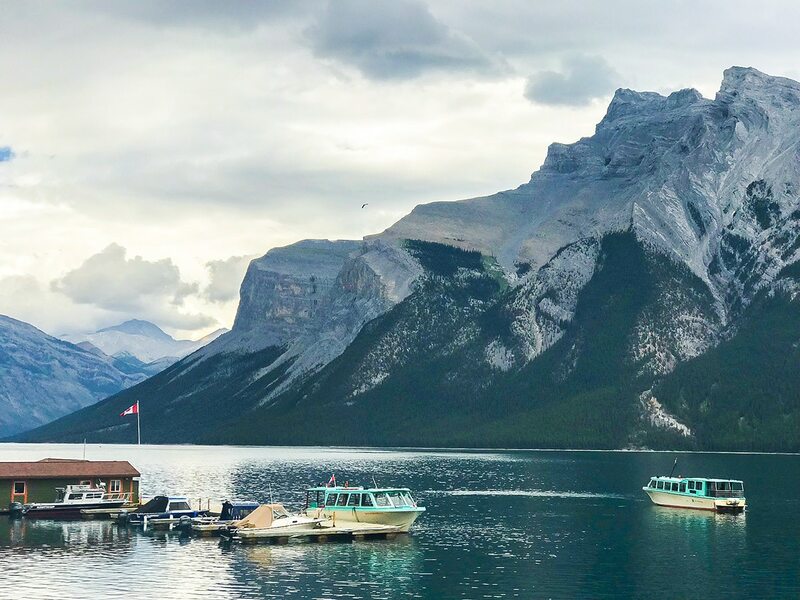 At Lake Minnewanka you can turn right at the end of the causeway to find the Black Anchor snack shop and the Lake Minnewanka Cruise. There are also some stunning views if you continue on the walking trail past the Black Anchor. Head down to one of the small beaches where you can rest and relax with an exceptional view. There are also washrooms in the parking lot. Now’s the time to complete the loop, and head downhill on a fun roller coaster ride. Take the signed trail back to Banff and Bankhead – do not go back across the causeway. You now have a 5.3km ride downhill, and it’s a great bike ride. While heading downhill, keep your eyes open for cars and wildlife. Once you pass the turnoff that you took on the ascent, in 650m take the left back into Cascade Ponds. It’s super easy to miss this turnoff, so if you reach the cattle gates, you’ve gone too far, and should turn around. At the junction go right, into Cascade Ponds Parking lot. From here, follow the route back through the parking lots, into the forest and under the Trans-Canada. 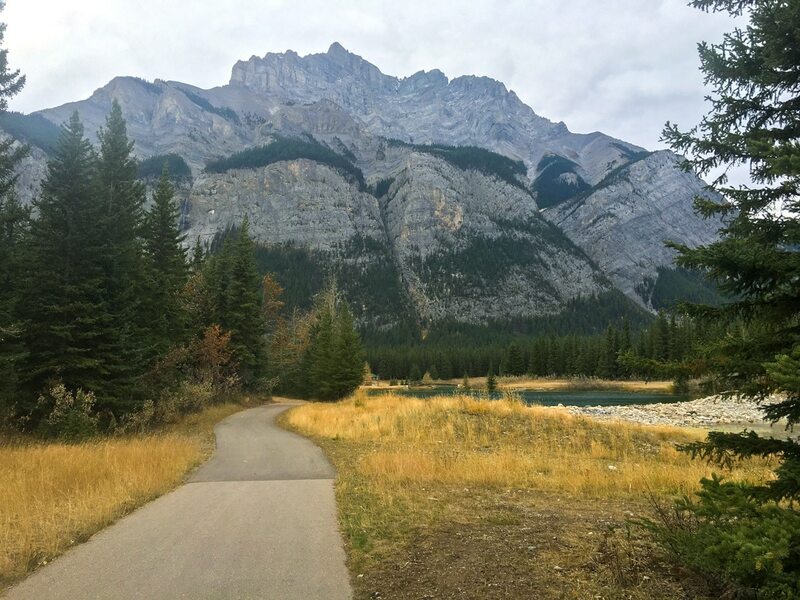 When you’re back on Legacy Trail go right and head straight back into Banff. 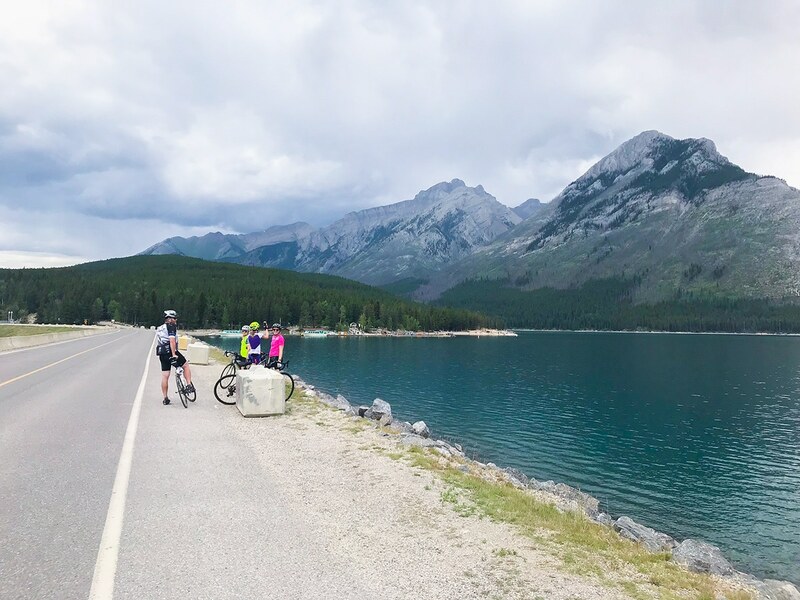 We like to link this trip up with either the Tunnel Mountain Loop, Legacy Trail to Canmore, Vermilion Lakes, Banff Springs Golf Course or Mount Norquay. 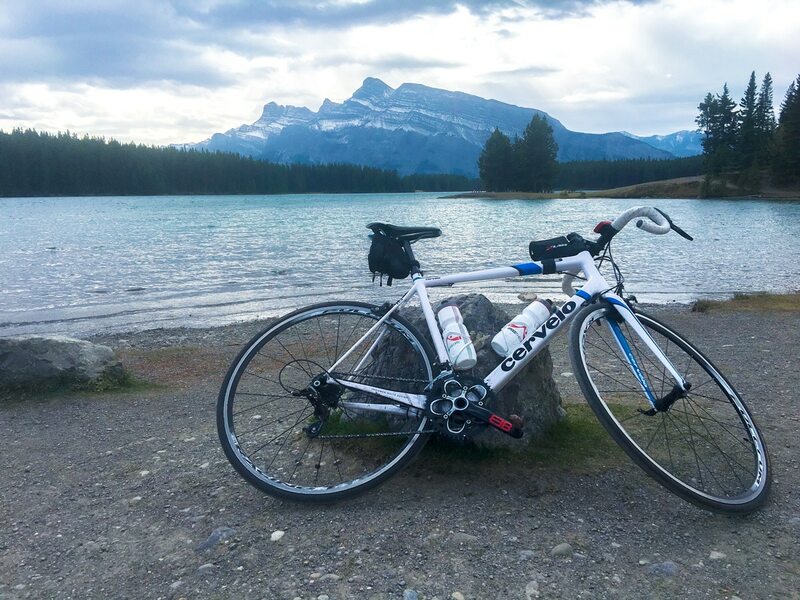 You can rent a bike at Banff Cycle or Snowtrax or Ultimate Sports. We love finishing a great bike ride with a slice of pizza from Aardvark Pizza, yum!